Nearly all forms of academic leadership involve supervising change. Curricula have to be adapted to keep up with advances in pedagogy, the evolving needs of the student body, and new discoveries in the discipline. Research expands continually, building on the discoveries of other scholars and moving in new directions. Because so many administrators are grappling with these issues, it seems appropriate to present both sides of this argument in order that academic leaders can decide the matter for themselves. These administrators believe that programs and institution that remain the same for too long lose their edge, and that the faculty members involved in them become complacent. As a result, students eventually will enroll in other programs where the facilities, curriculum, and thinking all seem more current. The best faculty members, it is suggested, are those who are always challenging their own ideas. Moreover, the question most frequently asked by external stakeholders, such as donors and legislators, is “What’s new in your area?” Administrators can be at a severe disadvantage if they can’t answer this question in a way that demonstrates how their institutions and programs are changing in order to remain ahead of their peers. 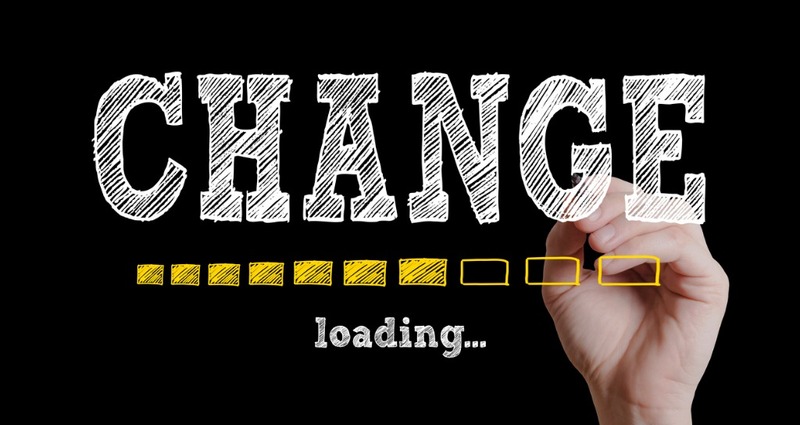 Proponents of continual change also argue that, because colleges and universities are constantly adapting to new developments in higher education anyway, it is far more desirable to be a leader of change than simply to respond to it. Anyone who has ever moved from one home to another knows that as difficult as that process may be, good things inevitably come out of it: you have to discard items that are no longer useful, rearrange possessions so that they fit into a new environment, and develop new ways of getting wherever you need to go. Institutional change is very similar: it forces people to question their assumptions, defend those policies that remain useful, and abandon procedures that no longer serve their purpose. Each year a different group of students passes through our courses, studios, and laboratories. The advocates of change for its own sake suggest that we as academic leaders must constantly adapt in order to keep up with our students. All change is good, they say, because it forces us to remain creative, innovative, and engaged. The opposing perspective argues that, although certain types of change are indeed inevitable, institutions do themselves and their students a disservice when they make a fetish out of change for its own sake. Proponents of this perspective note that many of the policies and structures of modern universities exist for a very good reason and, as the saying goes, “If it ain’t broke, don’t fix it.” By pursuing unwarranted changes in curricula, organization, and procedures, institutions divert faculty members from their primary responsibilities of teaching and research, accomplishing little of value in the process. Moreover, faculty members at times believe (perhaps justifiably) that certain administrators want to implement a change, not because they are trying to solve an actual problem, but because they want credit for doing something. Perhaps they are trying to justify their existence, or perhaps they are trying to build their résumés. After all, split a program in two, and you can claim to have “created new programs,” even if the original structure was working just fine. Consolidate three departments into one, and you can say that you’ve increased efficiency, even if no cost savings result and no advantages can be identified. In order for a change to be warranted, proponents of this perspective believe, you must be responding to a clearly identified problem, have examined alternative solutions, and develop a plan that has a reasonable expectation for success. Initiate a change before these criteria are met, they say, and you’re probably imposing work on others that serves no useful purpose. There is, of course, a middle way between the view that everything needs to be in a process of flux all the time, and the view that it is unwise to change anything until a clear consensus emerges that a new approach is essential. To begin with, no academic leader should ever seek to promote a significant change before understanding the context in which that change will occur. The mistake that many administrators make soon after entering a new position is assuming that there will be only a limited “window of opportunity” during which they will be able to secure new resources or implement new policies. As a result, they begin to foment change before they can possibly understand all the issues involved. It’s better to view colleges and universities as though they were delicate ecosystems: disturbing the “flora and fauna” in one part of the system can all too easily produce unintended consequences elsewhere. For this reason, it’s better to spend time learning the environment and history of the program in which you are working before you begin to make any change that isn’t absolutely necessary. The important rule for every academic leader to keep in mind is this: The program or institution I’m leading would not have survived until now if it was doing everything wrong. The people who came before me must have been doing something right. In other words, if you don’t pause long enough to learn the reasons why a certain policy, procedure, or organizational structure exists at all, you may well make the incorrect assumption that it exists for no reason. Second, although it’s foolish to think that everything about your institution’s current structure needs to be reorganized, it can be equally foolish simply to accept the status quo as the only possible way of doing things. Many policies and procedures that made perfectly good sense at one time are no longer useful or have grown to be more cumbersome than is necessary. So, although effective academic leaders don’t try to change everything, they do need to be people who are willing to question everything. Asking “Why do we do it this way?” doesn’t imply that you think it needs to be done in some other manner; it simply means that you want to understand the rationale for the current practice. One of the great advantages administrators receive from working at many kinds of institutions, or taking advantage of opportunities such as the ACE Fellows Program, is that they are exposed to different approaches at different colleges and universities. They learn that there can be more than one way to achieve a particular goal, and that not every solution is likely to be suitable for every academic environment. Third, academic leaders should neither idealize nor fear change. Just as not every change results in an improvement, so, too, not every change is destructive. Good academic administration involves being willing to consider alternative approaches, refusing to stifle debate with arguments such as, “We already tried that, and it didn’t work,” and freely admitting when an attempt has failed. Changes may sometimes seem attractive but cause problems that no one could have foreseen. Rather than digging in your heels and defending a decision that didn’t work out, it is far better to say that at least you were willing to take a chance and that the pilot program you created turned out not to be as successful as you had hoped. Indeed, there will be times when the best change you can implement is a change that restores things to the way they were before you “improved” them.